There’s magic in music. It taps into our emotions and inspires our imaginations like nothing else. But music does more than simply make us feel good – when you listen to music you’re exercising your mental muscle in a completely unique way. There’s mounting evidence that shows exposure to music rewires our brains and builds new connections that enable us to think in ways we never could before. Music sticks: Ever wonder why a song gets stuck in your head? It’s all thanks to a clever evolutionary adaptation that helped our ancestors survive. Before written language, humans used songs to help remember important information like directions or how to prepare food. This technique is still handy today – teachers use it every day to help kids remember long lists of facts. Music is like a drug: Listening to music gives us a rush of pleasure. Music taps into our brains pleasure centre, releasing a rush of dopamine into our system. Unfortunately you can’t simply switch addicts from drugs to music – while both tap into the same pleasure centre, they use different routes and stimuli to get there. Music taps into emotions: Not only can we identify emotions in a song without lyrics, but what we listen to affects how we’re feeling. The experts are saying to use this to your advantage – listen to energetic, positive songs in the morning to set you up for a great day, and sooth tracks after an argument – putting on sad or angry music will only make you feel worse! Rolf Jensen said that the heroes of the 21st century would be storytellers. My favorite musicians are all great storytellers; Bob Dylan, Leonard Cohen, Ray Davies, Robert Earl Keen, Tom Russell, Kris Kristofferson, Johnny Cash and John Prine; all tell terrific tales. Maybe the greatest of them all though is The Boss. I picked up a bootleg CD a while back in Greenwich Village (yes, I still buy the odd CD!). It was a recording of a concert Bruce gave on November 17, 1990 for the Christic Institute. On this CD he sang a song he wrote called, "The Wish.” I hadn't heard it before. It's a lovely song about sons, mothers, nostalgia, dreams and romance. There was a great line, as Bruce remembers dancing in the kitchen with his mom in the 60's, "well it was me in my Beatle boots, you in pink curlers and matador pants." And the song ends in the present day with Bruce "taking requests here in the kitchen and playing ‘The Wish’ for his mom." The other day I was in my kitchen in Grasmere with a bunch of mates and their wives from the old school days singing and dancing until 3:00am. Last Friday I took along 6 friends to the City Winery. A terrific venue midway between Saatchi & Saatchi and my Tribeca apartment - a 10 minute walk from both. We were up close and personal to one of the great legends - Ronnie Spector, lead singer of the Ronettes. Brian Wilson (Beach Boys) said the greatest ever pop song was the Phil Spector Ronettes song "Be My Baby." In the 60's, the Ronettes led the girl group's invasion of Britain behind Phil Spector's Wall of Sound. They toured with The Stones and The Beatles, and brought the Beehive hairdo into the UK. Three years later they disappeared. Ronnie was kept a prisoner in Phil Spector's L.A. mansion for eight years, driven into becoming a dependent, fearful woman who was driven to the bottle. Spector became more and more weird surrounding himself with his wigs and guns, and an amazing controlling persecutional complex. His craziness landed him in jail after being convicted of the shooting death of actress Lana Clarkson in 2003. Ronnie's show is a Tour de Force of her life. She tells her stories on stage with a funky backing group and a bunch of slides from the 60's, 70's and today. She pulls no punches, sings some great songs and truly is the Last of the Rock Stars. She played four shows and added two more. This was a New York night to remember for those of my generation. The Ronettes have finally made it into the Rock and Roll Hall of Fame (inducted by Keith Richards) despite the best efforts of Phil Spector who is still attempting to the control the band from his prison cell. What a story. What a survivor. What a night. The third quote from Shimon Peres, President of Israel, in McKinsey Quarterly, on the power of language. Shimon Peres: Words are the connection between leaders and the public. They must be credible and clear and reflect a vision, not just a position. The three greatest leaders of the 20th century were Winston Churchill, Charles de Gaulle, and David Ben-Gurion. Each had a brilliant mind and a brilliant pen. Their ability with a pen demonstrated many things: curiosity, memory, courage. They understood that you lead not with bayonets but with words. A leader’s words must be precise and totally committed. Yesterday I quoted Shimon Peres, President of Israel, on the power of Ideas to cause Revolution. Today he speaks about dreams – and sticking to them. I was privileged to meet with President of Israel Shimon Peres in November 2010; he gave me 12 pointers on leadership. The current McKinsey Quarterly features President Peres in a discussion on Leadership in the 21st Century. Here is a profound insight on Ideas and Revolution from a man who forged his life’s work by brilliantly waging the traditional tools of power: political determination, military strategy, economic leverage. Shimon Peres: The last two decades have witnessed the greatest revolution since Genesis. States have lost their importance and strength. The old theories—from Adam Smith to Karl Marx—have lost their value because they are based on things like land, labor, and wealth. All of that has been replaced by science. Ideas are now more important than materials. And ideas are unpredictable. Science knows no customs, no borders. It doesn’t depend on distances or stop at a given point. Science creates a world where individuals can play the role of the collective. Two boys create Google. One boy creates Facebook. Another individual creates Apple. These gentlemen changed the world without political parties or armies or fortunes. No one anticipated this. And they themselves did not know what would happen as a result of their thoughts. So we are all surprised. It is a new world. You may have the strongest army—but it cannot conquer ideas, it cannot conquer knowledge. I know that The Ritz-Carlton are always looking for customer service stories and heroes. Well, you certainly have a bunch of heroes at La Spiaggia. We decided to have lunch there on a day that was rainy, stormy and windy. The welcome we received on our arrival brightened our day up enormously. Gusti, with the biggest smile in Bali, greeted us to this lofty perch above the crashing waves, and he and his three colleagues, Nyman, Watan and Mario delivered one of the best customer experiences I have ever known. We got there at 1:00pm and were still there at 6:30pm, despite it being pitch dark. The bar normally closes at dusk (5:00pm) but these boys were firm believers, and kept repeating to me, "the customer is always right," and that's the way The Ritz-Carlton do things. We stayed there enjoying a bottle (or two!) of Orvieto Classico followed by a couple of beers. As the afternoon grew on we had a severe attack of the munchies and asked if there might be some potato chips around their bar to nibble on. Before I knew it, the chefs had disappeared, gone up the cable car, went into the kitchen in the main restaurant, baked their own chips…and brought them to our table in a flash. What a great afternoon. We didn't want to leave but glancing up at the moon and stars we knew this lunch had to end! We promised to return two days later. The team at La Spiaggia welcomed us Monday afternoon as if welcoming friends to their home. The weather this time was warm, the sky was bright blue, and the waves of the ocean lapped peacefully to the shore. And there was Gusti…pouring a beer in exactly the way I had shown him (no real head) and wearing a huge smile as he presented us with a bowl of potato chips to go along with our pre-lunch beer. He told me he bought the potato chips at the market on his way to work that morning to make us happy. He then conjured up a bottle of exactly the same Orvieto we had been drinking at our first lunch, chilled to exactly the right temperature, and served us with pleasure and pride. "Never give the customer what they want, give them what they never dreamed possible." Your team did that in spades. Today’s world is focused on accountability and measurable results – business leaders, economists and politicians alike scramble for the latest data to inform where they invest time, effort and money. But what happens when things at the core of human existence can’t easily be measured? This is the problem facing creatives around the world – the arts are routinely underfunded leaving writers, artists and musicians among us on the back foot. The arts are how we express ourselves to one another and future generations. Each piece of writing, artwork and song is a reflection of what life is like at this very moment. Music is the most unique of these as it completely engages our imaginations and lets our emotions run wild. So if you want a peaceful world, invest in the arts. Creatives are the ones coming up with solutions to some of the world’s most contentious issues. Go to an exhibition or a local gig. Attendance is always appreciated. These people need our support and participation. 1976 will be remembered as one of Australia’s worst performing years at the Summer Olympics. The country won one silver and four bronze medals in 20 sporting events, whilst New Zealand walked away with two gold medals in athletics and field hockey. Australia had 180 competitors. We had 87. Apparently the Australian Prime Minister at the time, Malcolm Fraser, was booed by athletes at the Olympic Village who felt that they had not received the support they deserved. Fast forward to the 2000 Olympics in Sydney. Australia won a total of 58 medals, 16 of which were gold. In Athens 2004, they bagged 17 gold and in Beijing 2008, 15 gold. This transformation in national athletic performance has been largely credited to the Australian Institute of Sport (AIS); an organization founded by the determination to move past failure and focus on becoming a leader in sports science and technology. The Institute looks at improving the very last detail so that a split-second difference can be turned into national Olympic glory. When we talk about ‘Fail fast, learn fast, fix fast’ the emphasis of the whole equation is really what happens at the end. You need to fix the issue to make a difference. Without change there is only repetition. Whether you walk, run - or drive, if you’re on the same path you’ll get to the same destination. Fixing a problem to go back to where you started is not the aim of the game. I’m talking about progressing, not regressing. In a world where sport and business can be won by a single point or a split second it’s about seeing how we can stay ahead of our competition. It’s about winning. I flew to Bali last week to run a strategy workshop for the founders and Board of one of our new international clients. I decided to stay over for the weekend and Attilio Marro who runs Bulgari's hotel group recommended I stay at the Bulgari in Uluwatu. Antonio Citterio designed and built it in 2006. An astonishing masterpiece of around 50 individual villas on a towering cliff top over golden beaches and crashing surf. One of the best spas in the world, an infinity pool 150 meters above the Indian Ocean, the superb Il Ristorante for Maurizio's pastas, a tranquil outdoor bar and the beautifully understated La Spiaggia.... two wooden tables, a barbecue and the freshest fish under the cliff in the middle of friendly neighbors.... a bunch of playful monkeys. GM Santiago Sagaz runs a team of friendly smiling Balinese who made the road a much friendlier place yesterday... and Carlos de la Barra makes the wine list sing. (It's part of The Ritz-Carlton portfolio so the customer experience is second to none). A great place to chill, work on your latest idea, write, regroup... or get married. With the 2012 London Olympics just around the corner, athletes the world over are entrenched in training mode. But as sports have become increasingly professional, technique and fitness is no longer the standout difference between winning gold or heading home empty handed. Instead, it all comes down to mental toughness – the ability to make cool-headed decisions in heated moments and control things when they threaten to go astray. Just look at some of the world’s top athletes – even Rafael Nadal credits his success to his strong mental resilience: “It is impossible to play great every time, but when I play so-so I’m still there mentally – the mental part is there 100%”. Positive personality: Each gold medal-winning athlete had an openness to new experiences, was conscientious, competitive, optimistic and proactive. Motivation: Top athletes are motivated by multiple internal and external factors. While they have a passion for the sport, they’re driven to prove their worth so choose to compete at top level. Confidence: Their confidence is gained from a range of sources, from experience and self-awareness to visualization and coaches – this means a set-back in one area won’t hold them back. Focus: The ability to concentrate on the process rather than the outcome and self-reflect without distraction. Social support: They have a strong support network and believe high quality support, whether from family, coaches or teammates, is just a phone call away. Everyone experiences frustration. Your plane doesn’t arrive on time, your business doesn’t perform as expected, people’s attitudes disappoint you. You try to solve a problem and no resolution is in sight. Frustrations happen when expectations go unmet, but by changing your perspective, you can transform frustrations into solutions. Here are three ways to fill a glass half empty. Think Better: James Dyson knows frustration. It took 15 years and 5,126 prototypes for him to create the bagless vacuum cleaner, and through his Foundation, kids are learning how to turn frustration into engineering innovation. In Dyson’s view, if anyone really believes in something and wants to make it a reality, that person must think better. And he’s right. So-called ‘logical thinking’ doesn’t lead to real advancements. You’ve got to think smarter and make lots of connections. Reframe The Picture: The best businesses are born of frustration. Richard Branson, tired of poor airline experience, decided he could do better. The result? Virgin Airlines. Ask yourself what you have learned from your experience. Now turn the sentence around and make it a positive statement. Is there an opportunity you can capitalize on? Do One Thing. When Saatchi & Saatchi decided to go True Blue, we encouraged people to make one small change in their lives. Then do another. Small actions add up to make a difference. Look at what you can do, and break it down again into smaller steps. By the time you know it you’ll feel like you’re working towards a solution and not falling under frustration. In my opinion, the best kind of innovation is one that makes change easy - and fun. It has a low impact on the environment, is simple to use and scalable. The SOCCKET, a soccer ball that doubles up as an energy source, is a prime example. It’s an ingenious invention from two Harvard students that harnesses the kinetic energy of play to charge a power source in the form of a soccer ball. The ball is made of recycled material, cheap, portable and can be used as a safe source of energy. Kids can play with the ball all day and return home with enough power to charge up lamps and water filters. Kudos to Jessica O. Matthews and Julia Matthews, the inventors of the SOCCKET, for their mission to use the world of play to make a genuine difference in the world. Mark de Rond is a professor of Strategy and Organization at Cambridge University's Judge Business School, where I was CEO in Residence for several years. He’s just released the book There Is an I in Team: What Elite Athletes and Coaches Really Know About High Performance that looks at the learnings that business can learn from the world of professional sport and how focusing on individual potential elevates team performance. 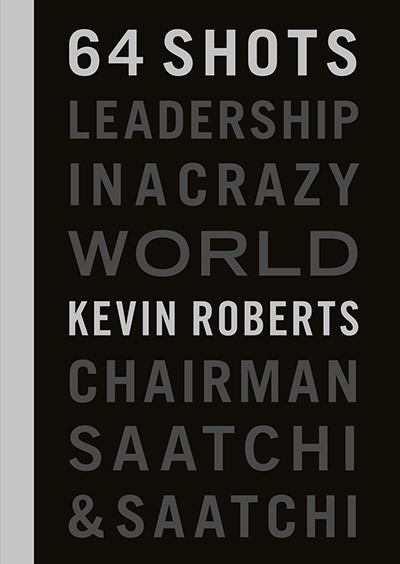 Richard Hytner, Deputy Chairman of Saatchi & Saatchi Worldwide, penned the Foreword to the book and recommends it as being readable, teachable, innovative and insightful. The best teams are made up of individuals. Know your limits. How much are you willing to tolerate – even from your most talented team members? “Star performers” are great but be mindful that everyone has their unique strengths. Amazing talent is not transferable. Team players need to be aware that what may work for them as individuals doesn’t necessarily work in a group. Tension within the team may be uncomfortable, but that isn’t the same as dysfunctional. Create an open environment where people can have their say. There’s no place like India, and to visit is to be surprisingly uplifted. So too is a recent report on Lessons for Corporate Sustainability from India, produced by Saatchi & Saatchi S, and arising from some intrepid exploring by two of our S men, Adam Werbach and Andrew Bryson. Adam says up front “I felt like I had brought a glass of water as a gift to the ocean” – which sets the tone for a refreshing look at sustainability. What makes India a teacher for a sustainable world? Plenty - not least the inherent diversity of society, deep social roots (go Gandhi), innate entrepreneurism, a caring for sustainability, values-driven business leadership, and creative companies who have to keep up with smart and collectivist consumers, and companies that are adept at Jugaad in the face of striking challenges. Hire people, not machines; there’s the e-commerce company with its own army of couriers doing point of purchase, putting more people to work, saving money, improving quality in line with customer preference, online commerce done personal. Cultivate self-reliance; there’s the paint company that solved the problem of being prohibited from discharging more effluent, by eliminating all effluent from their plants. Don’t wait for government move forward. Think in Whole-Systems; there’s the vertical integrator that reaches farmers as both producer and consumer, and helps connect the farmers to the world, while reducing net environmental impacts. Align with Natural Forces; there’s the power company that with gasifiers uses rice husks, a big source of waste, to run a whole power system. Plan First, then Jugaad; there’s the innovative impulse of a revolutionary refrigerator that is tested in small markets before going nationwide. There are some gems in this short story of past, present and future. Check out the report. At a time when business re-engineering, restructuring and re-everything only add incremental growth, the traditional MBA is pretty outdated. I’ve been talking for a while about Creative Leadership as the next evolution. You won’t find this in management mantras, case studies or spreadsheets. The unreasonable power of creativity is the value accelerator. Getting out in front and staying there is about having creative ideas and finding creative solutions. It’s about delivering mind-blowing experiences and heart-lifting change. ‘CEO’ should mean ‘Chief Excitement Officer’, and the need to inspire people and to deliver value creatively is radically altering the job requirements of senior executives. This article from KRConnect reader Becky Celestine on CEOs with liberal arts majors is a reminder of the value of traveling both wide and deep. The corporate recruitment process is miles behind the curve, and boundary expanders like philosophy, literature, language and theater should be written in, not written off, as credentials for winning in business. The more angles and edges in your playbook, the more creativity will sing. As Steve Jobs said, creativity is just connecting things. Here’s a post from the CEO of Saatchi & Saatchi Netherlands, Arjan Kapteijns, musing on the silver lining of a recent defeat. Is it possible to win, when everything is lost? Yes, even that appears to be possible. At the European Championship in Poland and Ukraine, Vice World Champion Holland lost all 3 matches. Chanceless! Despite this historical defeat the Dutch were able to win anyway because the famous Orange legion won the hearts of the people of Charkov. With the last match against Portugal, 10,000 Orange fans went to the Ukraine to support their team on a hopeless mission. But with their seductive madness the colourful Dutch made this day again an unforgettable experience. When the Dutch, after an all day long party in a big square viewed by Lenin, started their last march to the football stadium, it became clear the Orange fans leap frogged the German, Portuguese and Danish fans in popularity enormously. Thousands of Ukrainian people came to the streets to cheer and thank the Dutch fans for the crazy uplifting atmosphere they brought to this grey former Soviet city. And even after Ronaldo and friends scattered the last hopes of a new Dutch football success, the spirit in the city stayed positive and many Dutch and Ukrainian boys and girls partied until the sun came up, celebrating their new emotional bond. In the early 1980's I visited India well over a dozen times in an attempt to reintroduce Pepsi Cola into what we believed then to be one of the most dynamic, fast growing markets of the future. 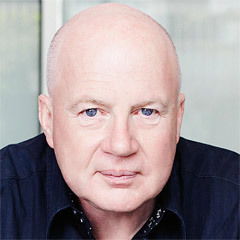 I hadn't been back until a few months ago when Saatchi & Saatchi introduced the new CEO Matt Seddon to India. I held a couple of workshops for clients in Mumbai and Delhi. The country is a Lovemark for many as it is teeming with the three secrets: Mystery, Sensuality and Intimacy. Yesterday I saw one of the great English movies - The Best Exotic Marigold Hotel - starring Judi Dench and one of my favorite character actors, Bill Nighy. This movie really captured the hope, the ambiguity, and the specialness of India. The storytelling is superb, the direction is marvelous, and the capturing of the truth incredible. It's just so beautiful, so true to so many things both English and Indian, you should see it. It lifts your heart, makes you laugh and also makes you welcome advancing years a little more optimistically. A good old fashioned, upbeat story of optimism in a far distant exotic land.